Impress your guests with homemade shortbreads, a great accompaniment to the post-dinner cheese board. Blend the butter with the flour and fresh sage in a food processor until the mixture looks like fine breadcrumbs. Add the blue cheese, process until the mixture starts to come together in little lumps, then tip into a bowl and stir in the pecans. Gently knead into a dough, then divide in half and roll each piece into a 5cm wide log. Wrap in cling film and chill for at least 30 minutes or until firm. Heat the oven to 180°C/160°C fan/gas 4. Unwrap the rolls and cut each one across into 5mm thick slices. Place 5cm apart on a lightly buttered non-stick baking sheet. Bake for 10-12 minutes, then cool on a wire rack. Cream the goat’s cheese with the cream using a wooden spoon. 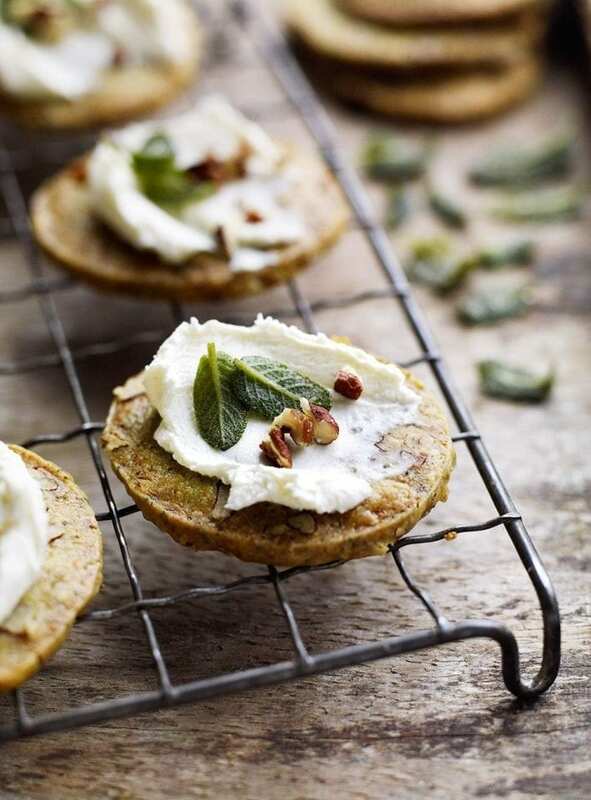 Spread over the shortbreads, then top each with extra chopped toasted pecans and a couple of small fried sage leaves.